The smooth running of dozens of concurrent projects requires meticulous planning, attention to detail and above all, the right staff. Each of our employees is rigorously trained in health and safety, and food safety, prior to working in a Bon Appetit unit. Team members are trained to a minimum of Level 2 in basic food hygiene, with all senior staff achieving Level 3 Food Hygiene. Many employees also reach advanced food hygiene levels and most attain certificates in first aid, fire training and stress awareness. Our experience has shown that image is everything. If the look and feel of our site restaurants doesn’t match expectations, they won’t be used – it’s that simple. That’s why we have focused our attention in recent years on developing the Bon Appetit dining experience. 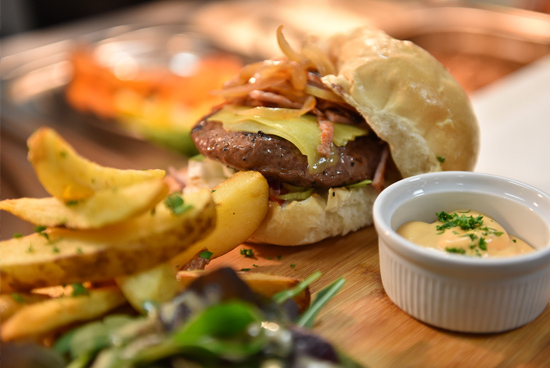 Our dining environments mirror up-market eateries, providing a relaxing place to enjoy superb quality food. But what good is the perfect ambience if the overall image doesn’t match? At Bon Appetit we consider branding key to our success. 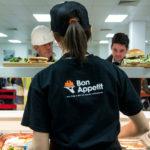 We insist our team members are dressed according to their role: from our chefs to our servers, all staff wear the appropriate attire, complete with our Bon Appetit branding. Our logo, which appears on everything from food products to take away bags, napkins to sugar sticks, and our own fair trade tea and coffee to the insulated cup it is served in, is synonymous with cleanliness, outstanding food and relaxed dining. 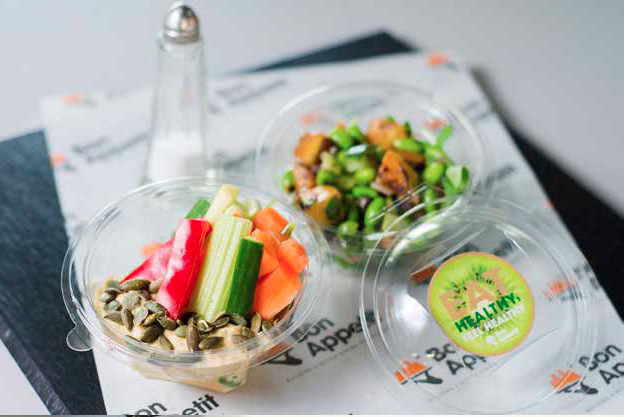 We have a comprehensive labelling and branding system in place for both commercial and health and safety benefits and feel it is the little things that make Bon Appetit stand out from the crowd. Strictly adhering to our ‘fresh is best’ policy, we strive to use the absolute minimum of frozen produce, preferring seasonal, fresh items bursting with goodness at all times. 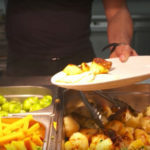 As such we never provide ready meals and our clients are assured that every dish is freshly prepared. We have forged robust and lasting relationships with some of the finest suppliers in Britain, which date back more than 20 years. They understand the high standards we expect and they deliver, every time and can vouch for their excellence. outstanding New Covent Garden Market, fresh fish from the excellent Billingsgate Fish Market and fine cuts of meat from the world-renowned Smithfield Meat Market – all produce can be easily tracked, meeting full traceability requirements. We also insist on GM-free produce. 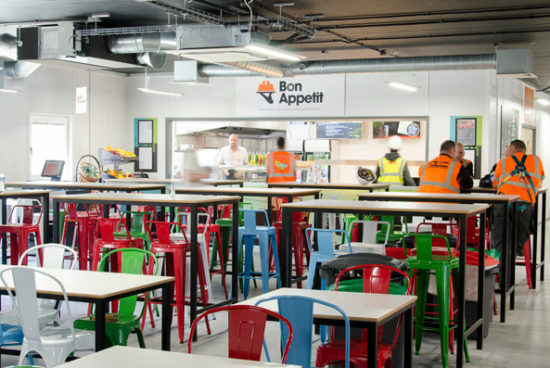 Bon Appetit is committed to maintaining the highest standards of excellence towards health & safety and hygiene and achieves this through an absolute adherence to in-house training, weekly, monthly and quarterly H&S audits, and extensive food management systems. We have stringent measures in place to ensure that every one of our units conforms strictly to all EHO guidelines. We run bespoke H&S courses for all members of staff at our head offices and new employees undergo training before starting work. Current staff also attend refresher courses on a quarterly basis. Bon Appetit also boasts an in-house team of kitchen designers who use cutting-edge software, research, and our vast experience, to tailor-make kitchen plans that ensure every aspect of design maximises speed of service, quality of production and the efficiency of our cooking team.